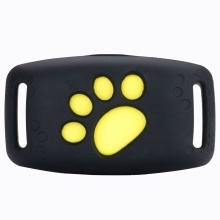 Pet tracker with GPS function for dogs and cats that you can protect your pets from loss. It can tell you where your pet is at any time, avoid the loss of your pet and record the pet tracking within 3 months. You can even call the pet tracker by setting the family number. Remote Listening: Setting the guardian&apos;s cell phone number to keep in touch. Callback Function: Setting the callback number. And click the "sure" button, the pet tracker will automatically call to the phone number you set. Water Resistant: It is waterproof and suitable for use in a variety of environments. 120H Standby and Low Power Alarm: It has 120 hours standby time, and it will alarm if there is a shortage of electricity, reminding you to charge in time.